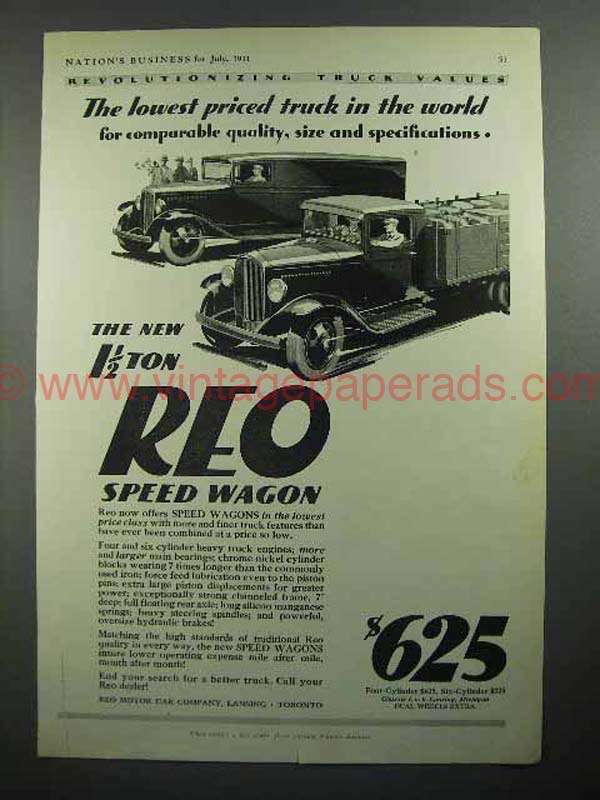 This is a 1931 ad for a REO Speed Wagon! The size of the ad is approximately 8.5x11inches. The caption for this ad is 'The lowest priced truck in the world' The ad is in fair overall condition, with some wear and a 2-inch tear in the bottom left corner. This vintage ad would look great framed and displayed! Add it to your collection today! 1933 Reo Truck Ad - Why Guess What Truck to Buy?